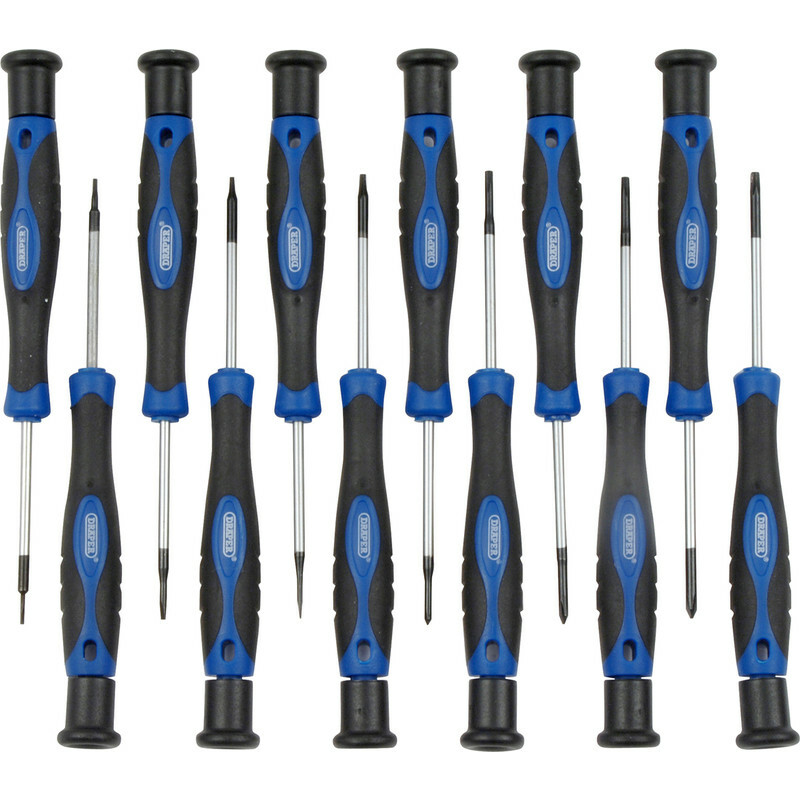 12 piece set precision screwdrivers hardened and tempered steel blades with soft grip handles. Contents: slotted 1mm, 1.5mm and 2mm, PH000, 00 and 0, Torx T5,T6,T7,T8,T9 and T10. Draper Precision Screwdriver Set (12 Piece) is rated 3.4 out of 5 by 5. Rated 1 out of 5 by Elron from Cheap and Nasty These are cheap and nasty tools - poor steel and badly machined. Don't let them anywhere near fine screws as you risk rounding off the heads. Rated 5 out of 5 by PillagingViking from Great set of fine drivers Mainly bought these to fix my reading glasses with the tiny screws on them and they worked perfectly. then my daughter broke the screen on her iphone and they came in handy again, it was especially useful to have the torx drivers which where required for the task of changing the screen. Rated 5 out of 5 by The Baron from Great Small Set Drivers, need some good quality small driver set, these are GREAT.